Trump gave Britain, France and Germany a 12 May deadline to fix what he views as the deal’s flaws – its failure to address Iran’s ballistic missile program, the terms by which inspectors visit suspect Iranian sites, and “sunset” clauses under which some of its terms expire – or he will reimpose US sanctions. In contrast, the EU position is that there is no need to renegotiate the Iranian nuclear deal, and that the 2015 agreement is “delivering”. While European officials continue to work toward such a “fix,” they believe the odds are against reaching one. One of the main sticking points has to do with the “sunsets,” where the United States in effect wishes to find a way to extend some of the limits on Iran’s nuclear program beyond their expiration dates under the agreement. The source familiar with the debate said US negotiators are hamstrung by the fact that they do not really know where Trump’s “red line” is and so they cannot tell the Europeans what would secure Trump’s blessing. Technically, Trump must decide by 12 May whether to renew “waivers” suspending some of the US sanctions on Iran. One of the White House officials who spoke on condition of anonymity said it was possible Trump will end up with a decision that “is not a full pullout” but was unable to describe what that might look like. Trump could refuse to renew the waivers but give new US Secretary of State Mike Pompeo time to negotiate more with the Europeans, exploiting the deal’s dispute resolution mechanism or the time before the most draconian sanctions take effect. 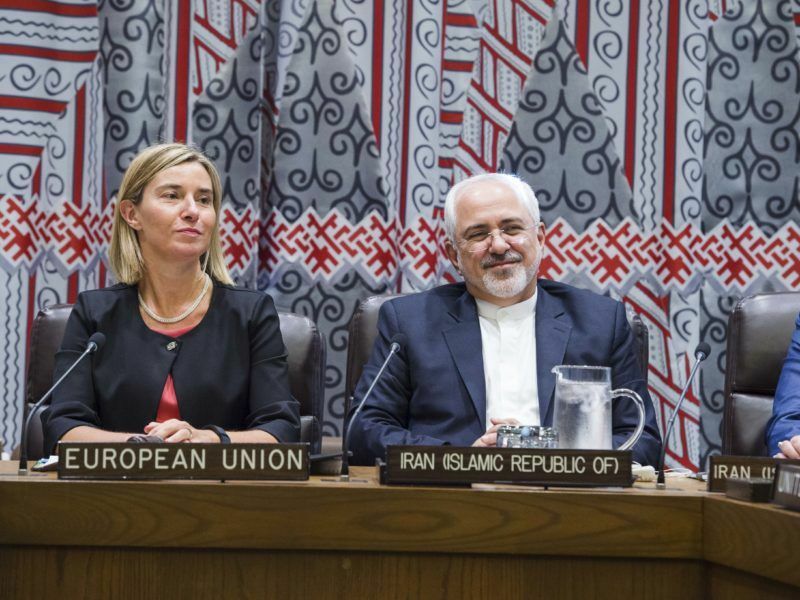 Several sources familiar with the negotiations said that if Trump pulls out, a question for the Europeans will be whether this would be the start of a much harder US line toward Iran, including military confrontation. 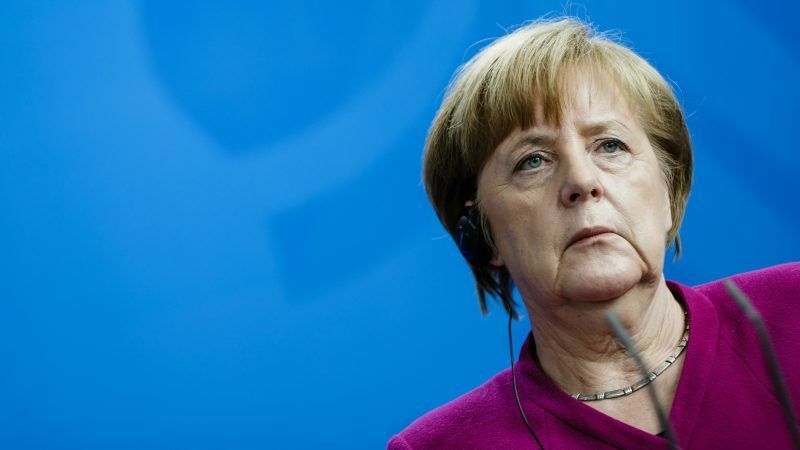 “The Europeans are not keen to be dragged into a regional conflict by the US,” said one source familiar with the talks. Two US intelligence officials said they were particularly concerned about Iranian retaliation in harder-to-trace actions such as cyber-attacks on the United States or its allies and attacks on soft targets by people without obvious ties to Tehran. Such attacks are considered more likely than actions that might trigger a US military response against Iranian nuclear and military targets. Israeli Prime Minister Benjamin Netanyahu gave details on Monday of what he said was evidence of a secret Iranian nuclear weapons programme, in a bid to encourage the United States to pull out this month of a 2015 nuclear deal between Iran and world powers. Roderich Kiesewetter, a senior lawmaker in Merkel’s party, said Netanyahu’s presentation included “nothing new so far” beyond information released by the IAEA in a 2015 assessment of the Iranian nuclear programme. He urged the United States to stick to the Iran deal. “The Iranian religious and political leadership remains dangerous. But repeating what is already known doesn’t move us forward,” he said. Trump has all but decided to withdraw from the 2015 Iran nuclear accord by 12 May but exactly how he will do so remains unclear, two White House officials and a source familiar with the administration’s internal debate said on Wednesday. 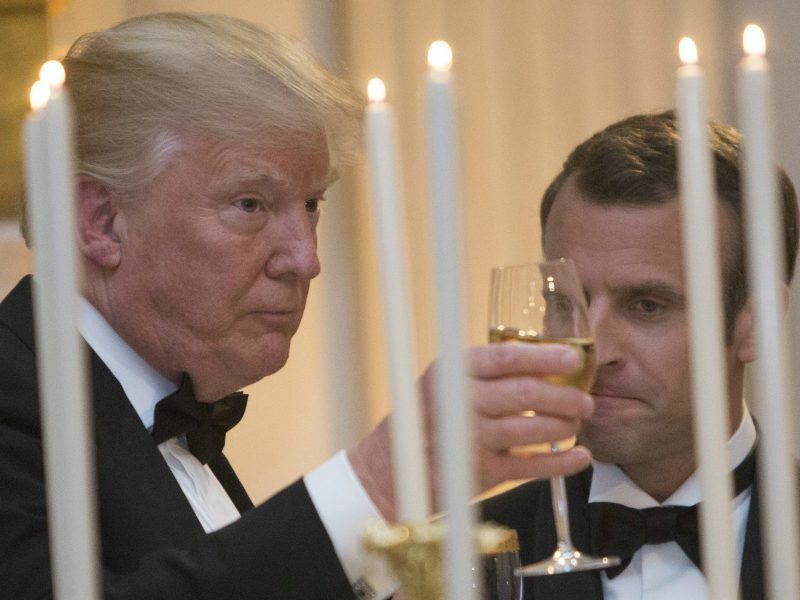 US President Donald Trump and French counterpart Emmanuel Macron called for a “new” deal with Iran Tuesday (24 April), looking beyond divisions over a landmark nuclear accord that now hangs in the balance. A decision by Trump to end US sanctions relief would all but sink the agreement and could trigger a backlash by Iran, which could resume its nuclear arms program or “punish” US allies in Syria, Iraq, Yemen and Lebanon, diplomats said.